The library at Revere High School used to be literally old school, down to the shelves of outdated, dusty books. So when its media specialist suggested transforming it into a learning commons, it meshed perfectly with the student-centered learning approach being pushed by school principal Lourenco Garcia. Though the district didn’t have all the money needed for the shift, the school applied for a grant and cobbled together the funds, supplemented by the district and school budgets. Opened in 2012, the space is abuzz with learning and energy. Learning commons — flexible, open spaces with conference rooms, computer labs, lecture spaces, comfortable chairs, and wheeled tables designed for cooperative, small-group work, plus technologies to create music, podcasts, 3-D-printed models, and more — are emerging in public schools as information has exploded beyond library walls. Despite floods of often conflicting information available at the swipe of a finger, Massachusetts is seeing a drastic reduction in both libraries and librarians — or media specialists, as they are often dubbed. Brockton, for instance, employed only two librarians in 2015 for 23 public schools serving roughly 17,000 students. Less than half of Boston’s 126 public schools have a library, and some of those are open only part time. Yet studies show that access to trained librarians improves academic achievement and test scores. The learning commons, says Laura Wernick, a senior principal and educational architect at Cambridge firm HMFH, helps schools reimagine the library for today’s expanded needs. At Revere High, one senior used resources from the learning commons to create an app so freshmen could find their way around the school. During a typical school day in the learning commons, students might huddle in small groups around Chromebooks or interact with teachers in the writing center. After classes end for the day, students, sometimes accompanied by parents (or even grandparents), gather in the commons, where they might use sewing machines to make quilts for those in need. Librarian Lyn Holian says it has remade the way kids learn, and gives working parents another way to connect with the school. “I don’t know how you do that without a space like this, where you could meet together and teach,” Holian says. At Newton North High School, a library learning commons was part of the plan for its 2010 building. Students use the commons to write music on guitars and keyboards hooked up to computers, record podcasts, or produce short films using MacBook video editing. Online resources provide 24-7 web access to e-books, topic guides, and databases. Language learners are thriving at Margarita Muniz Academy, where they take classes taught in both Spanish and English. That age-old summertime question “Who’s your teacher next year?” is out of fashion at the Merriam School in Acton. The elementary school’s teaching philosophy is centered on looping, wherein kids partner with the same teacher for two consecutive years. First-graders stay in the same class through second grade; third-graders remain through fourth grade; and so on through Grade 6. The school adopted looping because it is seen as creating better bonds between teachers and students, and lessens disruptions as kids change grades. Still, parents might wonder, what if there’s a personality conflict between students or between kids and teachers? Merriam principal Ed Kaufman has an answer for that. 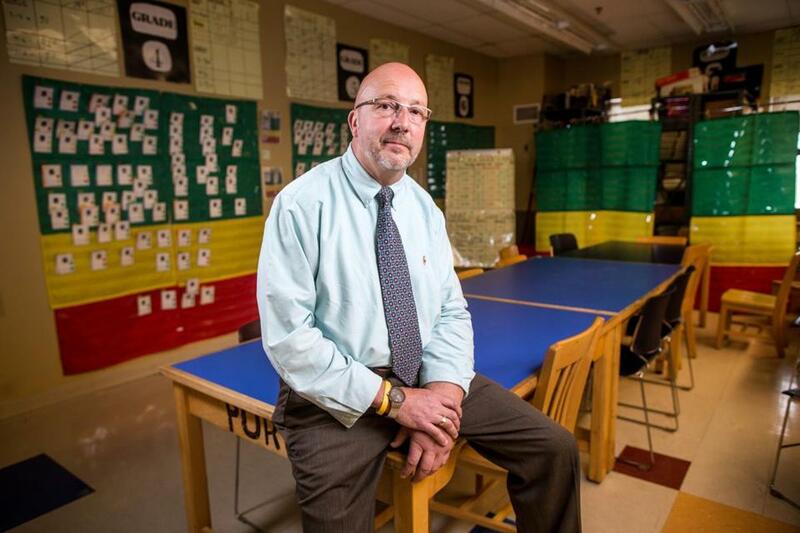 “In my 10 years, I’ve had to move only a few children out of their class mid-loop. I can only think of three. There’s an incentive to head things off quickly if problems arise,” he says. In fact, Kaufman says, the imperative to work together is a key reason why looping works. “I ask parents, how many of you find it difficult to work in teams?’ Hands go up. [Through looping], we try to help kids work together really well,” he says, while teachers form deeper relationships with students as they watch them develop over two years. In one sense, then, looping helps these young learners develop collaborative skills they’ll use years later, when they enter the workforce. Richard Bransfield, principal of the Linden STEAM Academy, says it’s good for kids to talk in class. 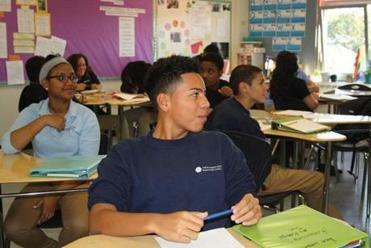 At the Lafayette School in Everett, you’re apt to see students talking in class. But instead of disciplining the kids for not staying on task, teachers oversee the chatter. That’s because Lafayette uses a strategy called “turn and talk” in its K-8 classrooms. Teachers, instead of lecturing in front of a class, pose a question and then prompt pairs or small groups of students to discuss it, usually asking one student to be the group’s reporter. The class regroups, often minutes later, to share what they discussed, with the reporter typically summarizing their points for the class. 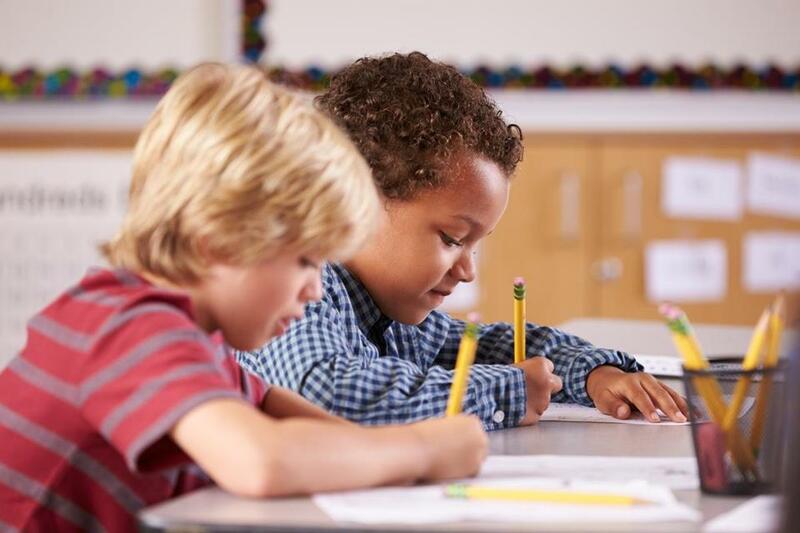 The program was implemented last year through a partnership with the Bay State Reading Institute, a nonprofit that currently works with 44 schools in 11 districts, many of which have schools that underperform on state tests. The institute, launched in 2005, trains teachers in turn and talk methods to boost students’ conversational confidence, bolster comprehension, and draw out quieter learners. “It empowers kids to use their voice. It encourages them to be critical thinkers, engage in conversation with peers, and contribute to the classroom,” says Ben Scherz, the institute’s literacy consultant and director of strategic partnerships. Linden STEAM Academy in Malden also uses turn and talk. Principal Richard Bransfield says it helps kids who might be reluctant to engage with adults open up among peer groups and practice language skills. “It’s low risk for kids to be able to turn to each other, because kids are wired to talk to kids, the way adults are wired to talk to adults,” he says. Research shows that having caring adult role models improves young people’s academic achievement and emotional well-being, and helps them forge positive identities. But it’s unusual for schools to bring mentors into classrooms. “Traditional mentorship programs usually involve an adult meeting one on one with a student about once a month,” says Ayele Shakur, Boston regional director for BUILD — Businesses United in Investing, Lending, and Development. The program pairs teams of three to six students with mentors from the community who help them build a business, with the students serving as CEOs, marketing managers, and salespeople in their own companies — starting in ninth grade. It might sound like another twist on using entrepreneurship to get kids engaged academically, but Shakur says the backbone of the program is the mentoring. The mentors also tend to get involved on a personal level, helping students work out problems with family or friends, guiding them through unexpected crises, or just providing a sounding board. BUILD’s mentors range from millennials to retirees, and represent professions such as the law, accounting, and entrepreneurship. They come to classrooms in seven Boston high schools once a week for 90 minutes (some mentors work in pairs and rotate weeks), often for a student group’s entire four years of high school. BUILD was started in Silicon Valley in 1999 by Suzanne McKechnie Klahr, now a lecturer at Harvard Law School, and arrived in Boston in 2011. Since then, the nonprofit has served almost 700 students here, about 60 percent of whom were at risk of dropping out. Of the students who have completed the BUILD program in Boston, between 97 and 99 percent graduated on time and about 95 percent were accepted to college — this in schools where graduation rates average just over 50 percent. Black’s Nook, part of Cambridge’s Fresh Pond, often freezes over in the winter, but that doesn’t stop some Cambridge middle school students from blithely plunging beneath its surface on a cold day. They peer at fish, calculate levels of dissolved oxygen and phosphates, and send micro-submarines in search of organisms. The students are in no danger of frostbite. They’re using an immersive virtual environment called EcoMUVE (multi-user virtual environment) that simulates the Black’s Nook ecosystem to explore questions like why the fish population might suddenly die off. Researchers at the Harvard Graduate School of Education built this simulated pond environment as well as a forest-based environment, both of which are used in Cambridge and at schools in Lawrence, Lexington, Malden, Mattapan, Newton, and Wayland. The project is led by Chris Dede, a professor of learning technologies at the education school, and Harvard provides licenses for EcoMUVE and its other environments free to educators. In the past five years, Dede has published more than 20 studies in research journals on topics like their effectiveness as a science teaching tool and ability to scale to more students. Dede says his project is meant to give students an “Alice in Wonderland experience when they pass through the screen into another world, it happens to be a place where they can explore scientific questions. 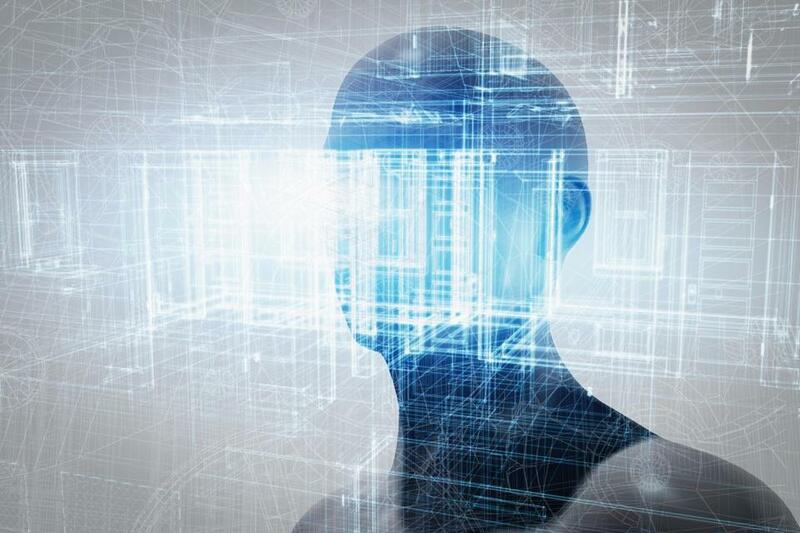 EcoMUVE is not virtual reality — most schools can’t afford the cost of the smart phones needed for that technology, which puts the user in the middle of a three-dimensional environment. But there are millions of people playing games like World of Warcraft — set in evocative, if not encapsulating, online worlds — that will run on the kinds of systems common in schools. The gamelike quality appeals to many students, says Michael Lynch, who teaches seventh-grade science at F.A. Day Middle School in Newtonville. He says they enjoy virtually exploring and documenting EcoMUVE’s pond or forest environments. As challenges get harder, though, he says it can frustrate some students. “That isn’t always a bad thing,” Lynch says, because it creates opportunities for him to talk with students about how they approach solving problems. And the most recent program, a second generation version of EcoMUVE called EcoXPT, has added ways to measure, observe, and even conduct controlled experiments, keeping more students engaged.